A sound artist who widens the realm of music. Born in Sapporo in 1974. He started to compose music since his childhood, and received a grand prize at a national contest. In 2006 he visited Berlin for making music in various fields from commercial music for TV spots to sound space design in various areas of Europe. He also showcases sound art pieces in the realm of the contemporary art. 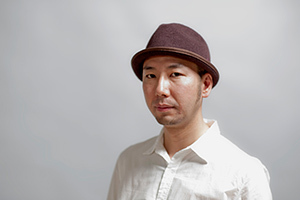 He manages an ambient label "43d" which was established for creating leading edge sounds. Copyright © 2009-2019 43d. All Rights Reserved.